It will surprise precisely no one that the world is a dark and violent place with little of the storied justice so beloved of the sorts of Hollywood thrillers which, by law, must now star only Liam Neeson. 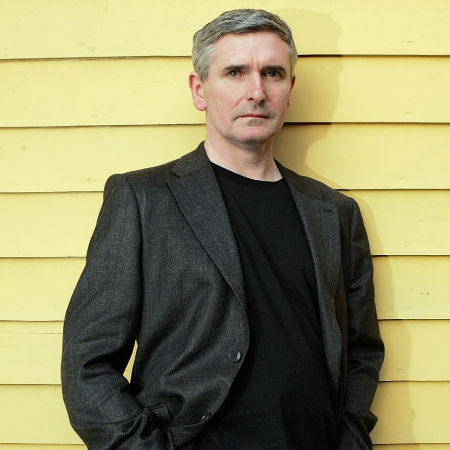 That is not to say though that the world is without some karmic justice, something that feted comic book author (Hellblazer, Lucifer) M. R. Carey brings to the fore in his latest thrillingly-immersive tale Someone Like Me. If however you are expecting the justice that inhabits this novel to come wrapped in an easily-untied bow, you will be sorely disappointed. For this is a tale of justice, imperfect and affected by lingering trauma and pain, hard won and dearly fought for as reasonably recently-divorced Liz Kendall, who has fled an abusive marriage to the volatilely-unpredictable Marc, fights battles without, and crucially for this spectrally-haunted tale, within for a life untouched by pain, fear and loss. Just how great a battle awaits Liz on a daily basis, even in her new-found life alone with 16-year-old son Zachary and 6-year-old Molly is graphically and heartstoppingly-illustrated in the opening chapter when Marc, dropping off the kids after a custodial weekend, takes exception, as she always does, to something Liz says. The violence that follows is confronting and shocking but told with an economy of emotionally-evocative language that doesn’t sensationalise or overplay the moment, preferring to let the searing reality of the scene play out in all its domestic horror. What it does reveal, shockingly to Liz who has always backed down in the face of Marc’s threatening belligerence is that she has a new-found willingness to fight back, verbally and physically, an ability to defend herself that seems to have sprung, fully-formed and unbidden from some part of her psyche she didn’t even know existed. So thrown is Liz by the events of the night, which lead to a court case, an apprehended violence order and possible permanent removal of Marc from the life of her and the kids, that while she is grateful to still be alive, she is deeply-shaken by this other “person” inside her who seems to be everything she is not. While Liz’s life is being turned upside down again, at least in part, in ways both potentially-good and psychically bad, Francine or Fran Watts, a 16-year-old girl at the same school as Zachary is struggling with residual demons of her own. Kidnapped at the age of 6 by a deranged man named Bruno Picota who believed she was possessed by some strange shadow entity, she has spent the ensuing years after her rescue from a maintenance room at the now-derelict Perry Friendly Motel in therapy with Dr. Southern and on medication designed to help her close with her anxieties and hallucinations. But the past is not so easily vanquished and Fran, though determined to push ahead into the future and very much loved in the present by her devoted single dad, remains literally haunted it seems by the events of a decade earlier. Through a cautiously-emergent friendship between Fran and Zachary who must weather their own battles, singularly and collectively along the way, the embattled worlds of Fran and Liz come together in ways that will leave you breathless and horrified, deeply emotionally-involved and immersed in a tautly-told story that feel authentically-human even as magically-real, ghostly elements imbue the story with some truly supernatural, and yet all too earthbound, consequences. 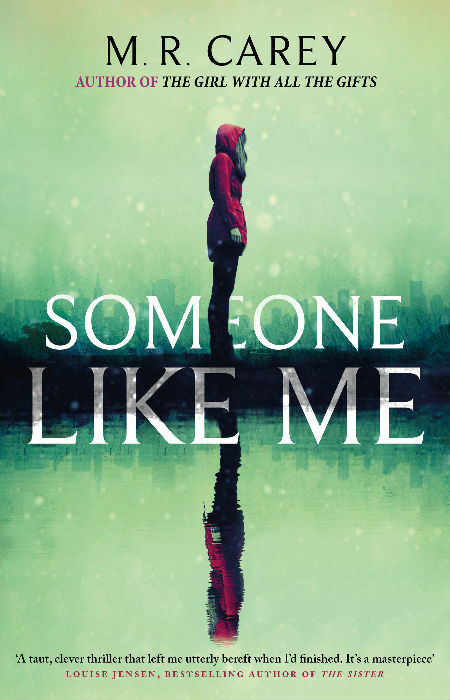 Someone Like Me is a brilliantly-tense thriller that never lets up on the full-speed ahead action but never once forsakes the innate humanity that powers every last word in its elegantly-crafted narrative. This is a book that is unafraid of the confronting horror of our world and how it can deleteriously affect the lives of a host of innocent people but one which dares to believe that hope is also possible in the midst of battles big and small and events that speak of anything but the tantalising prospect of a trouble-free road ahead. It’s impossible not to read the stories of Liz, Zachary and Molly, and Fran and her devoted dad Gil, and the ancillary characters that populate their day-to-day lives including interloping ghosts from realms beyond, without being drawn deeply into what it is to live in fear, to have everything ripped away from you and yet still possess the power to fight back especially when it matters the most. Carey weaves a tale which is both dark and troubling and yet innately compassionate and hopeful, granting us a viscerally-challenging ringside seat to life (and death) at its worst in a story which manages to delve hard and long into the very worst of humanity and yet somehow for all that proposes that despite the array of deadly threats against it, wishing for the best in life may not be such a fool’s errand after all.